Milk snake phase. A DOR photographed near Iturbide, Tamaulipas. An outstandingly colored wild snake. Variable Kingsnakes from the northeastern part of the range seem to be composed entirely of the milk snake phase and they all seem to have more or less bright, clear coloration. 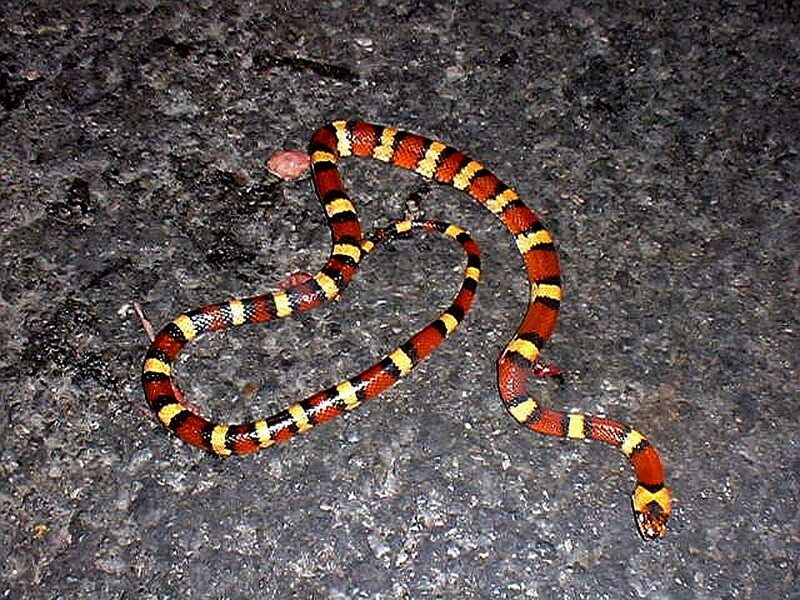 I have seen examples from the region that were dead ringers for Lampropeltis zonata. Photo by Dan Vermilya.